I became consciously aware of the existence of mandalas in infinite numbers in my everyday life relatively recently, and now everywhere I look I see mandalas! I had been drawn to circular motives in my art for some time, and was inspired especially by the shape of the water molecules for some of my jewelry pieces. 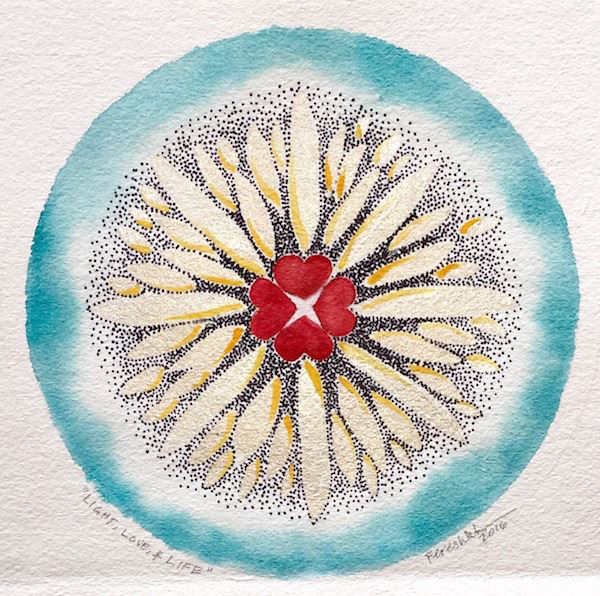 I knew that Carl Jung studied mandalas and used them as a technique in his therapeutic practice. 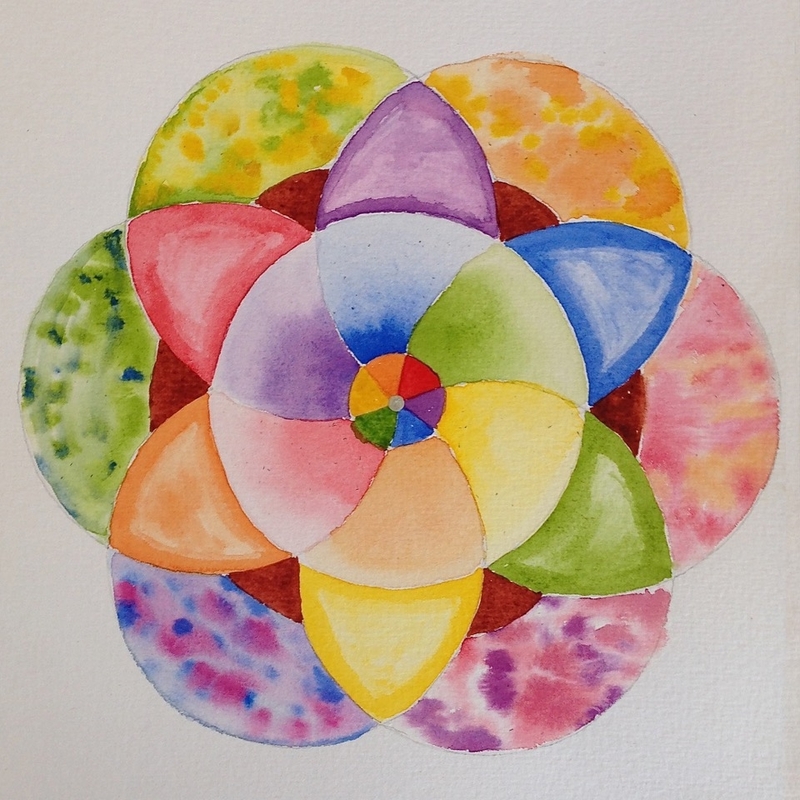 However, it wasn’t until I started researching for materials for my workshops (see Workshops and Classes) and took a class in watercolor mandalas taught by Michele Faia in Capitola, that I personally experienced their strong healing and meditative power. 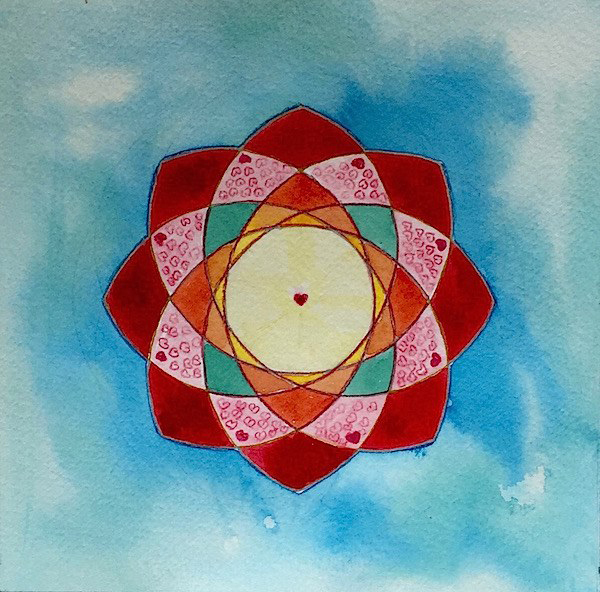 I love the process of meditation, drawing, and coloring them in watercolor! Sometimes the meditation right before the start or after the completion of a mandala leads to some expressed words, either in poetry or prose. 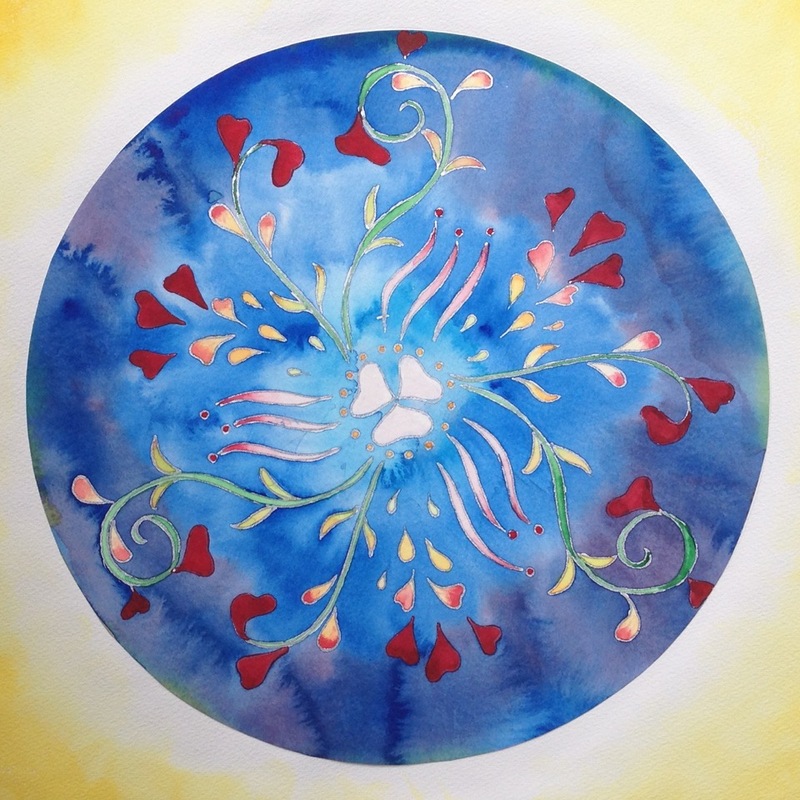 The following is something I wrote after meditating on the first image below, The Wheel of Life. And with every moment, a new me. And the cycle reversing itself to clarity again. And giving my soul a good exercise!